Burke County bail bonds help Georgians who have been arrested. Anytime Bail Bonding, Inc. offers reliable bail bond services for those who wish to be released from jail until their court date. Call us at (706) 823-1111 with any questions or visit us at 3435 Peach Orchard Road, Augusta, GA 30906. One of our bail bondsman can provide you with details about the bail bonds process in Burke County GA. Revolutionary War-era patriots may have gathered at the Burke County Jail, but no one wants to spend more time at the county’s current jail than necessary. If your friend or loved one wishes to be let out of jail and resume their daily obligations until he or she is due to appear in court, contacting a Burke County bail bonds company is the right choice. You’ll need to be available to speak with one of our bail bondsmen in Burke County throughout the process, so please provide a valid, current phone number where you can be reached. 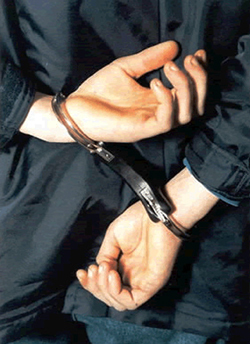 Bail is generally 12 to 15 percent of the bond amount. When you need bail bonds in Burke County, choose a company with experience. We have provided bail bonds since 1994, and our friendly staff is always willing to help. Anytime Bail Bonding, Inc. has 12 locations around the state of Georgia. We hire the most helpful, knowledgeable bail bondsmen in Burke County. In addition to helping the incarcerated and their families, we have been recognized in our industry for the level of service we provide. Besides being proud members of the Georgia Association of Professional Bondsmen, the Professional Bail Agents of the United States honored Anytime Bail Bonding, Inc. with National Board Certified Agency status. We mention this not to brag, but to assure you that you’re putting your friend or family member in good hands with our Burke County bail bonds company.